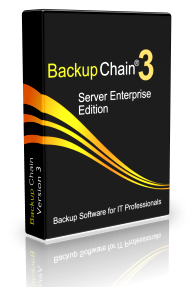 BackupChain is a backup software for Hyper-V Server 2019, 2016 – 2008, Windows Server 2019, 2016 – 2008, and Windows 10 – XP and has become the IT professional’s choice in more than 80 countries worldwide. Download the full version now, and take it for a test drive! BackupChain includes Hyper-V backup software functionality that only requires you select the VMs from a list. BackupChain Server Enterprise Edition also comes with Granular Restore, Granular Backup and supports VMs hosted on cluster shared volumes (CSV). Restoring Hyper-V VMs is just as easy as backing them up. Select from a list and BackupChain places a new cloned VM or the original back into Hyper-V Manager. In addition, backup files may be processed in their native format, compressed, encrypted, and/or deduplicated as incremental and differential deltas; the choice is yours! With BackupChain’s Disk image backup you can protect your Hyper-V host disk and Windows Server operating system disks by backing them up as disk image files. Moreover, disk cloning can be done as well, live without reboots and interruptions, and on a schedule. Clone your system disk in the background and have it ready to boot in case disaster strikes. Unlike a RAID backup scenario where you use RAID 1 or RAID 10, the disk clone is not immediately affected by data corruption, accidental deletions, and ransomware attacks. You could even have several disk clones in the same server, rotate one a day, so you can go back in time instantaneously without a time intensive restore operation. As a comprehensive server backup software, BackupChain also includes easy to use P2V, V2P, and V2V converters. Convert physical to virtual, virtual to physical, and virtual to virtual, such as Hyper-V to VMware or VirtualBox in all combinations. Copying and backing up file and network servers requires dedicated backup software that can handle very deep, long file paths, and very large files. In many cases you may wish to use parallel execution to speed up backups and it’s also generally recommended to use compression and encryption for best backup performance and security. Another unique feature of BackupChain is its ability to version files so you can keep N revisions of each file, depending on file type extension. You could, for example, keep the last 50 revisions of each Microsoft Word document but only five revisions of your Access or SQL Server databases. The best backup software isn’t necessarily the most expensive one. Instead of buying Veeam or Acronis, use BackupChain’s unique granular backup module and access services and files inside virtual machines from the host. All these virtual machine backup features are available at no additional charge and no additional licenses are required. BackupChain wouldn’t be the best backups software if it didn’t provide consistent and reliable performance. BackupChain is compatible with VSS and creates application consistent backups of your SQL Server, Hyper-V virtual machines, and Exchange Server databases. Crash consistency is also available for other kinds of services, such as older Linux VMs. BackupChain backs up an unlimited number of virtual machines at no extra cost, even those stored on CSVs. Bandwidth and storage usage and can be minimized greatly by using BackupChain’s deduplication options. Whether you are backing up to the cloud or to a network server, you can also throttle read and write operations so they don’t interfere with other services. High compression rates can be achieved at a higher speed by parallelizing deduplication over multiple CPU cores. One license per host usually covers all usage scenarios. The number of files or virtual machines are not limited. BackupChain offers unique file retention and processing functions that use open standards (except deduplication, where there is no open standard). Using these functions you are in control of your data and do not depend on BackupChain to do a restore. You can freely access BackupChain’s backup folders. When you create replication tasks via the no-processing option, virtual machine files and data files are immediately accessible without BackupChain. You can instantly boot these VMs without further restore operations.